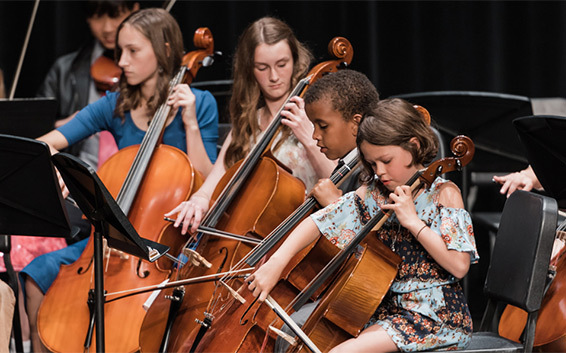 Each May, our school community comes together to celebrate the arts — all of them: musical, visual, literary, and scholarly. We celebrate our young people’s achievements with music and awards. The evening is a highlight of our year, as we listen attentively to the graduating third-year middle school students (9th graders) mark their passage into high school. Learn more by scheduling a tour.